Description: Barns owls have a pure white under side and pale upper parts. They are smaller than a tawny owl and have long, narrow wings and a white heart-shaped face. Both male and female barn owls have yellowish-brown upper parts but females have more spotting on the back and breast and are slightly larger than males. Barn owls’ talons are black and their toes and bills vary in colour from light pink to dark pinkish-grey. Nesting: Barn owls will choose undisturbed buildings for their nesting sites as well as tree holes or crevices in cliffs and rocks. They will use debris at an existing site, clearing away anything not needed. Breeding starts in April and females will incubate the white non-glossy eggs for 27-34 days. They will lay 4-7 eggs in intervals of 2 days producing 1-2 clutches a year. If food is in short supply younger chicks will often die and become food for the surviving chicks. Feeding: 90% of a barn owl’s prey consists of woodland rodents such as voles, mice and rats, hunted over open countryside. They will also eat small birds and amphibians. Barn owls eat their prey whole, regurgitating large black pellets of indigestible parts including teeth, fur and bones. 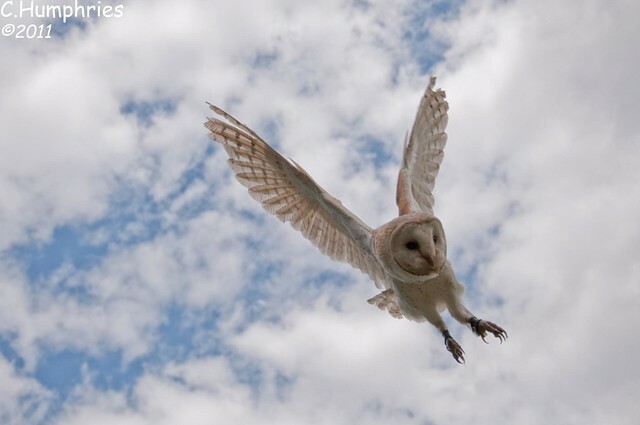 Where to see them: Barn owls can be spotted in open country, alongside field edges, riverbanks and roadside verges. You can see them during the day but the best time is at dusk. Did you know? The barn owl’s heart-shaped face collects sound in the same way as human ears and its hearing is the most sensitive of any animal tested.